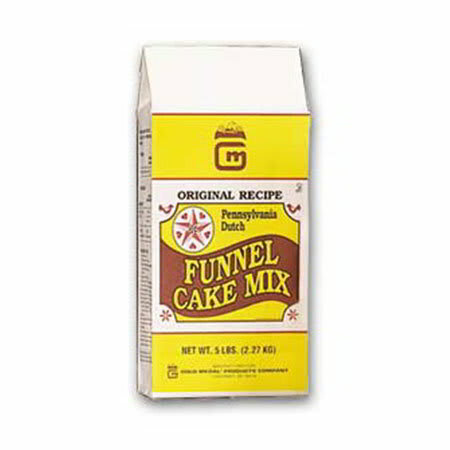 The Gold Medal 5100 Deluxe Pennsylvania Dutch funnel cake mix comes in a 5 pound bag, each of which can make approximately (25) 8-inch funnel cakes. This mix is crafted to produce crispy funnel cakes that absorb less oil than most other mixes. Visit our funnel cake stand article to learn more about funnel cake equipment. "Taste pretty good but way too expensive. Thinking about switching to Carnival King brand, which is half the price for a case."